ReptiSun® 10.0 Mini Compact Fluorescent | Zoo Med Laboratories, Inc.
ReptiSun® 10.0 Mini is Perfect for all desert and basking reptiles! 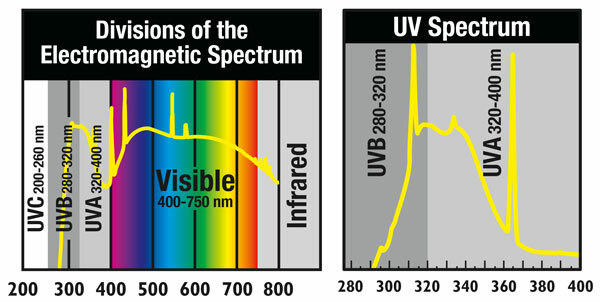 10% UVB Output, 30% UVA Output, Full spectrum. The new ReptiSun® Compact Fluorescent lamps use a special UVB transmitting quartz glass for maximum UVB penetration. Cool burning compact fluorescent bulbs screw into standard threaded sockets, eliminating the need for a separate ballast. Lamp can be oriented either vertically or horizontally in your reptile hood or clamp lamp fixture. UVB emissions help prevent or reverse Metabolic Bone Disease and UVA increases feeding, mating, and other natural behaviors. Perfect for Mini Deep Dome Lamp Fixtures and Naturalistic Terrarium Hoods.